Compact Stella Cherry - Prunus avium sp. Large fruit. Dark red skin, turning nearly black when fully ripe. Firm, sweet, dark red flesh with good flavor and texture. Has all the outstanding characteristics of Stella but in a smaller growing tree. Mature height 10-12 feet. Resistant to cracking, appears to be less affected by many problems associated with rain near harvest time compared to other varieties. Tree bears at a young age. Self-fertile. 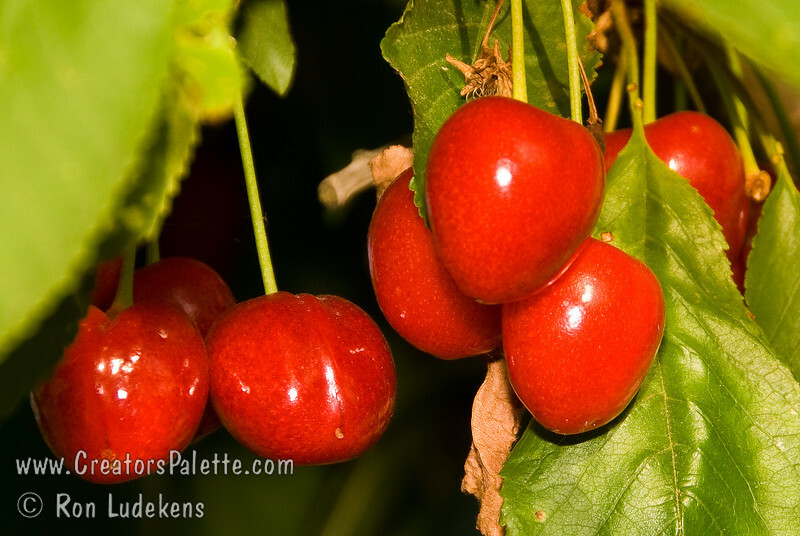 Good pollinizer for all sweet cherries. Ripens: Mid-season, slightly later than Stella. Requires 700-800 hours chilling.